The children of the Orlando Jewish Day School and Chai Preschool know that Thanksgiving Day is a time to give thanks. 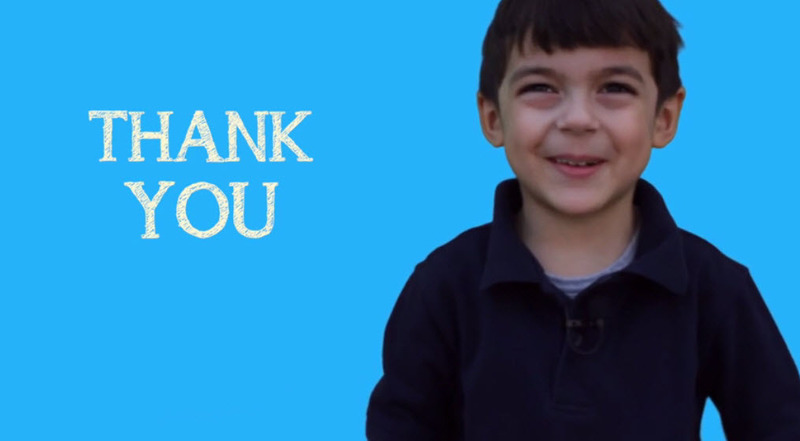 And in this video, they are outspoken in expressing thanks for all the wonderful things in their lives. They give thanks to their mom and dad, abba and ema, bubby and zaide, teachers and school. Thanksgiving is an American holiday, but it feels like a Jewish holiday. In many families where Shabbat and Yom Tov restrictions on traveling make large gatherings difficult, Thanksgiving is the one day each year when large families and groups of friends can look forward to feasting together. From our family to yours, we wish you a Happy Thanksgiving. Enjoy! There should be more schools like this. Thanksgiving (Canada & U.S.) is a NATIONAL holiday, one of a few that all citizens - Jews or not - can celebrate together. Let's focus on "hodu haShem" and "tarnagol hodu*" rather than our different political and religious perspectives. * Hebrew for "turkey" - the bird, not the state.